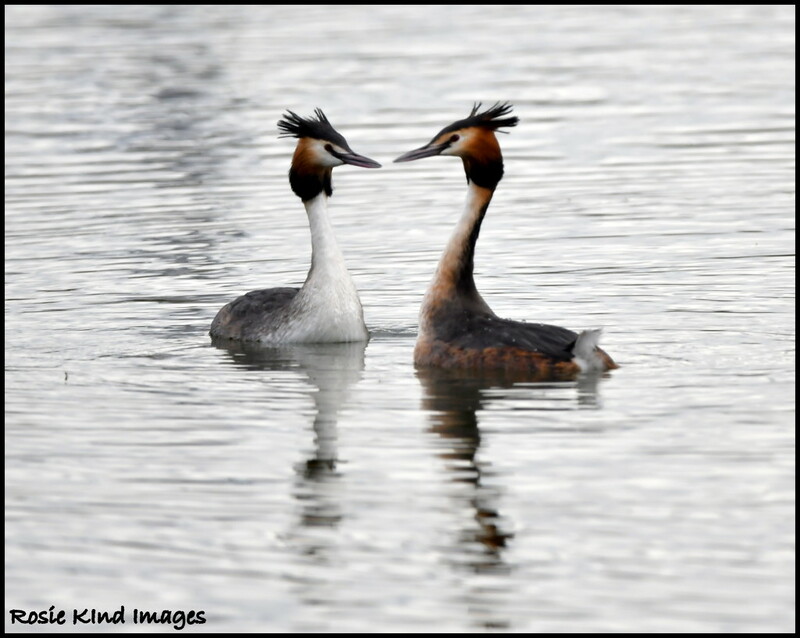 I saw these grebes at Priory Country Park this morning. A quick upload as I am off to Camera Club tonight. Fabulous capture Rosie!! I love these grebe but they are always too far out on the lake for me to get a good shot!! Well done!! What interesting birds and you caught them in the perfect pose. Super capture. Almost looks like it's a mirror shot.